Opening a cafe is a dream many of us have at some point in life. Bored by their office jobs, people tend to imagine cafe ownership as a way to escape the routine of everyday existence. And while there is certainly appeal in having a job which lets you get in touch with people and express your creativity, what many of the people who decide to venture into these waters don’t understand is that it can be really difficult to keep afloat. Studies have shown that more than a half of all cafes close within a year of opening. And even if they don’t close, their owners change pretty fast. An average cafe can expect to have a new owner every 2 or 3 years. So, does this mean nobody should run a cafe? Of course not. But as it is with any other job, owning a cafe requires a serious approach and extensive planning. If you are one of the brave people ready to commit to the idea of running your own cafe, read on. This article is meant to serve you as a starting point, a list of things to bear in mind when you decide to seriously approach this often frustrating, but also a highly rewarding job. 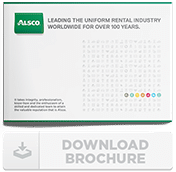 If after reading these tips you still have questions, contact Alsco, the industry leader in providing managed rental services to businesses such as yours. Alsco’s friendly representatives will surely have a few more pro tips for your cafe’s success! 1. 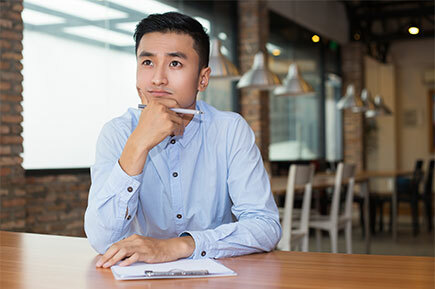 Write A Business Plan – starting before you start is the key to success! Developing a sound, plausible business plan before you do anything else is the wisest course of action. After your plan is polished, you will be able to refer to it in your future business decisions. You will also find it necessary if you want to reach any potential investors. 2. Understand That You Are Buying A Café, Not A Dream – when first buying a café, there are no shortcuts to a good deal – and if any are taken, a serious price will be paid later on. Negotiations can have a litany of pitfalls, with most new café owners finding out later the asking price was hugely over-valued. So, ignore the setting, appearance and interior décor, and keep emotions out of the deal completely. Trust us, emotion will turn your dream of owning and running a café into a complete nightmare. 3. Take Care Of All The Permits – another obvious step, but worth repeating, is the need to have all the legal issues in order. Before starting to run a café, don’t dilly-dally when seeking business permits, food and beverage licenses, and insurance of all kinds. 4. Be Professional – professionalism in both image and attitude is essential if you want to run a café successfully. Spend time properly training your staff, make sure they know how to handle every situation, insist on the highest presentation standards, have attractive menus, and a website that visitors find informative. 5. Never Stop Marketing – a major challenge when running a café is to stay popular, but no matter how adventurous your menus are, or great your coffee is, nobody can rely solely on word-of-mouth. People who already run a café will testify that marketing is the heaviest weapon in their armory This includes flyers, posters and the normal advertising channels, but mastering the potential online and social media have to offer is essential too. 6. Change Places – not literally of course, but figuratively. Consider your customers’ experience and what they would expect from your café. Looking at your service, menus and facilities through their eyes provides an honest evaluation, often revealing where the cracks lie. 7. Win Regular Customers – your relationship with suppliers is important, but your relationship with your customers – and developing a group of regulars – is perhaps more so. This is where loyalty programs can be of great value. The incentives received from repeat custom is proven to keep people returning, and a simple card-stamp system can work perfectly. 8. A Theme Will Make Your Cafe Stand Out – it’s easy to provide the safe, usual and run-of-the-mill, but let’s face it – your café is not going to be talked about much. A theme helps a café to stand out against the local competition, but it should run through the menu as much as the interior décor. 9. Don’t Be Scared Of Change – experience has taught those who run a café never to be afraid to make changes. In fact, a café is a fluid business that must adapt to the tastes and preferences of the existing market as they develop. Flavour of the month really can mean flavour ‘of the month’, so be prepared to alter your menu regularly. 10. Keep Instructions Simple – understand that the best way to communicate with your staff is to keep it simple and to the point. This is not to say your staff members are incapable of understanding long words and sentences, it only means that clear procedures and strict but sensible rules are the foundation of every successful restaurant. 11. Be Friends With Your Suppliers – it sounds a little soppy, but it is true. Developing positive relationships with your suppliers and distributors means they will look after you, especially when emergency orders are placed. If your café is a success, you’ll be surprised how often those emergencies crop up. Alsco offers practical and budget-friendly solutions for many of your business needs. Services such as tea towel rental are where Alsco’s expertise and years of experience really come to shine. But, there is no need to trust only words – Alsco offers free trials for many of its services, letting you feel how much easier it is to run a business when backed up by the best in their field.